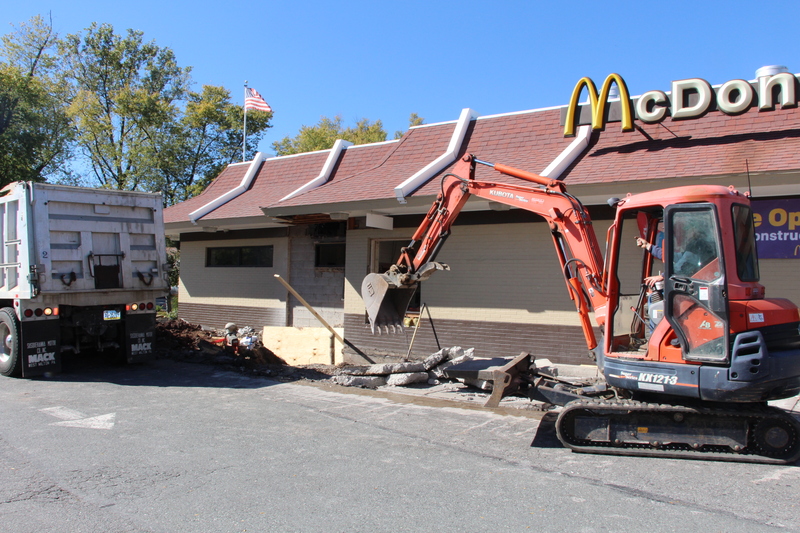 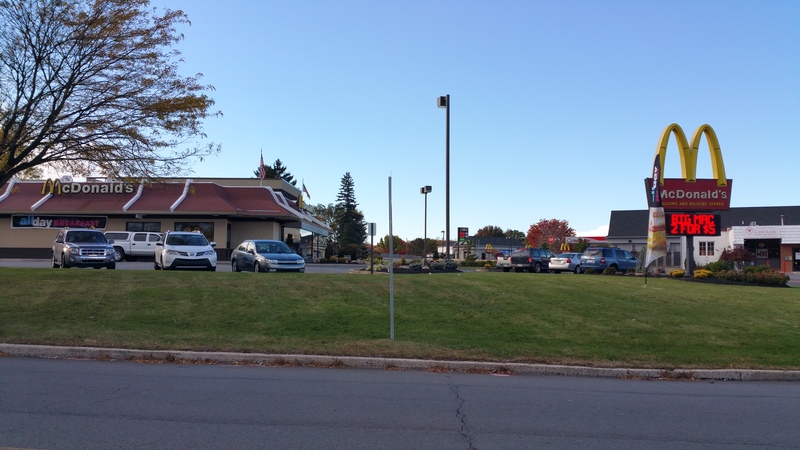 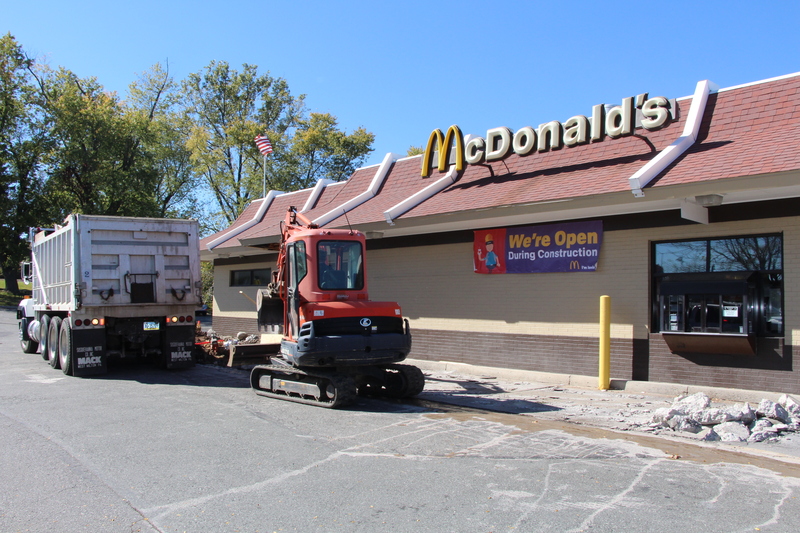 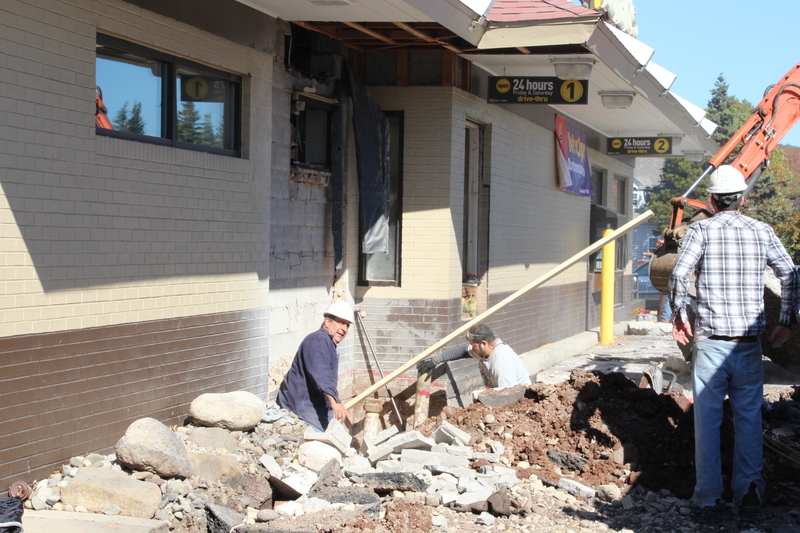 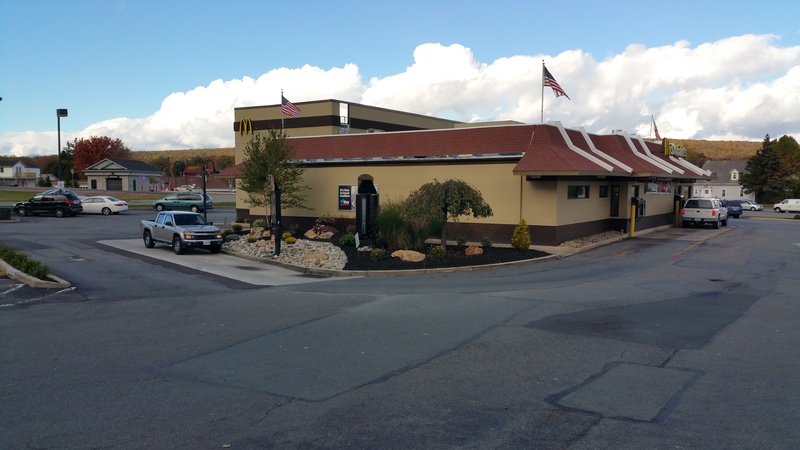 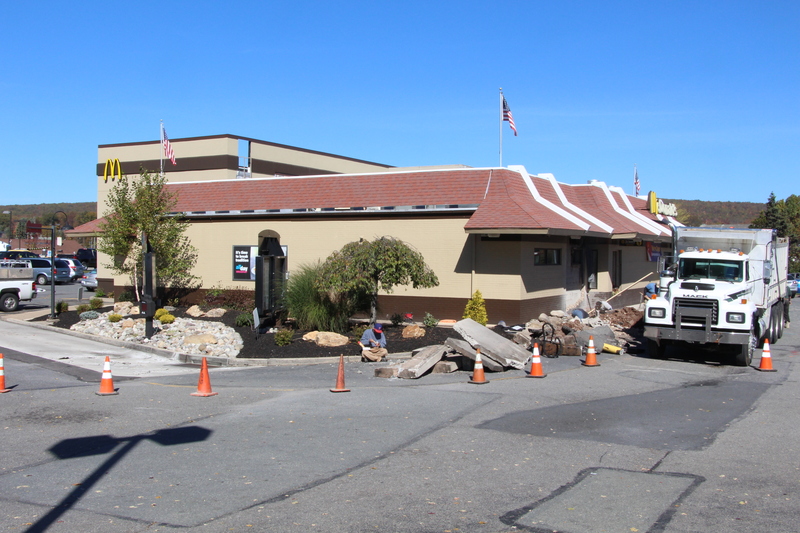 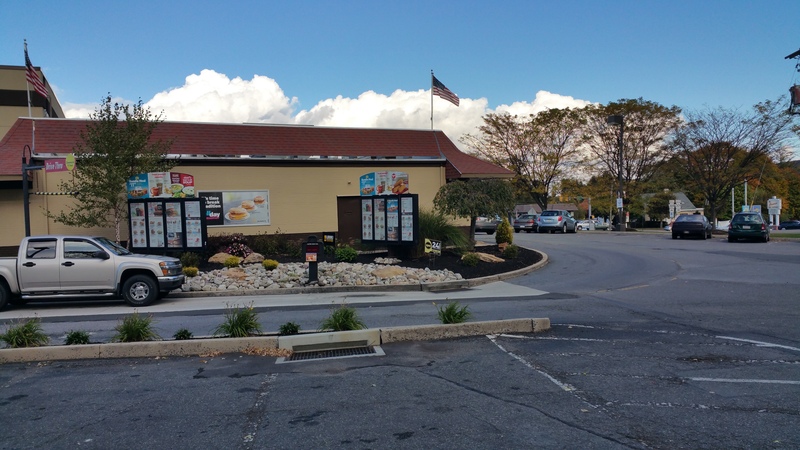 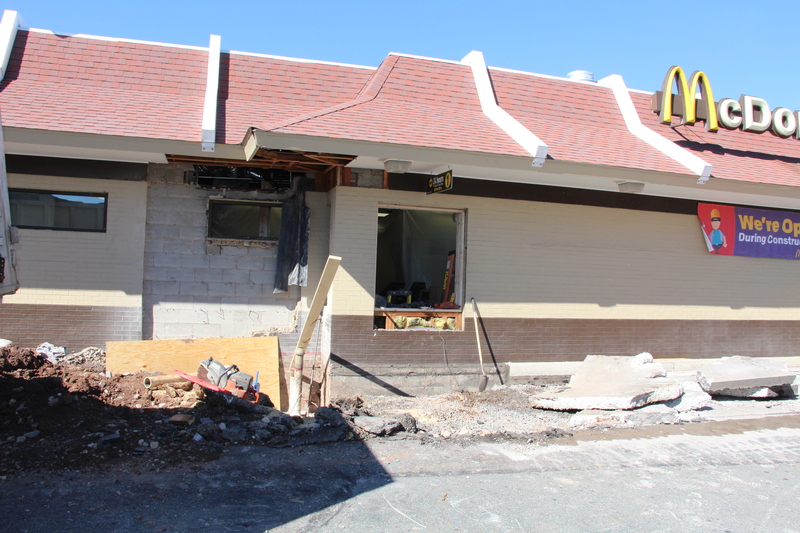 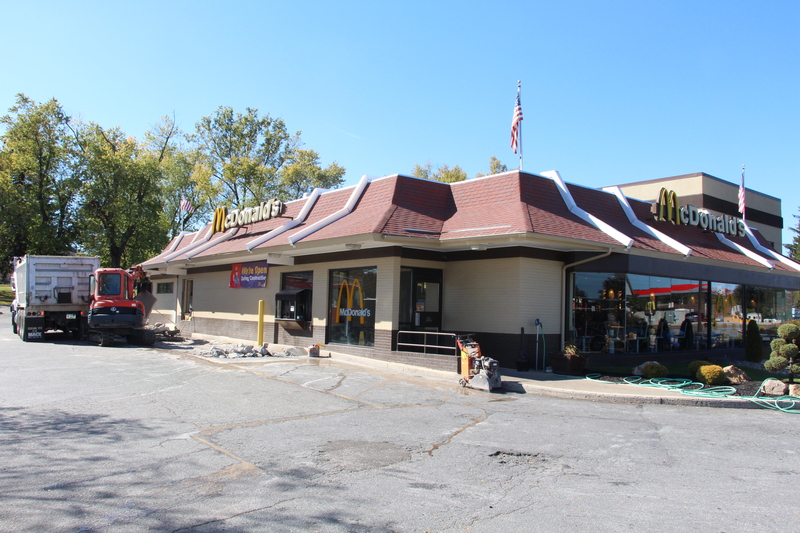 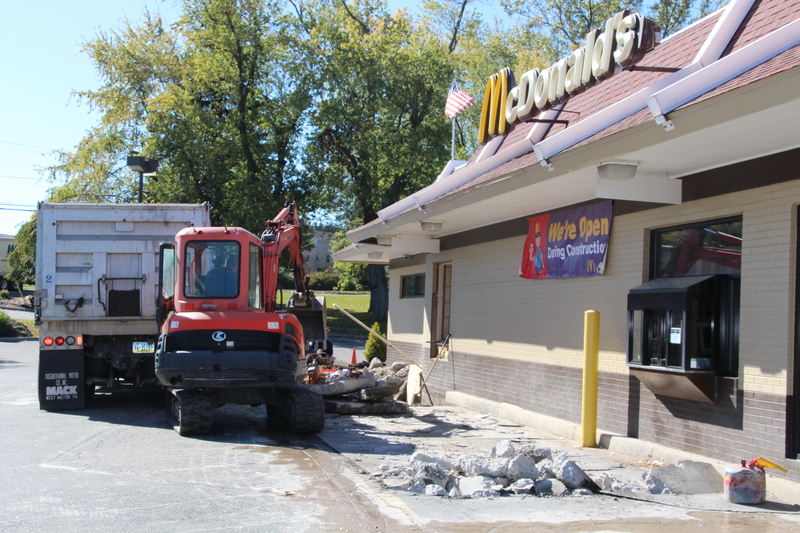 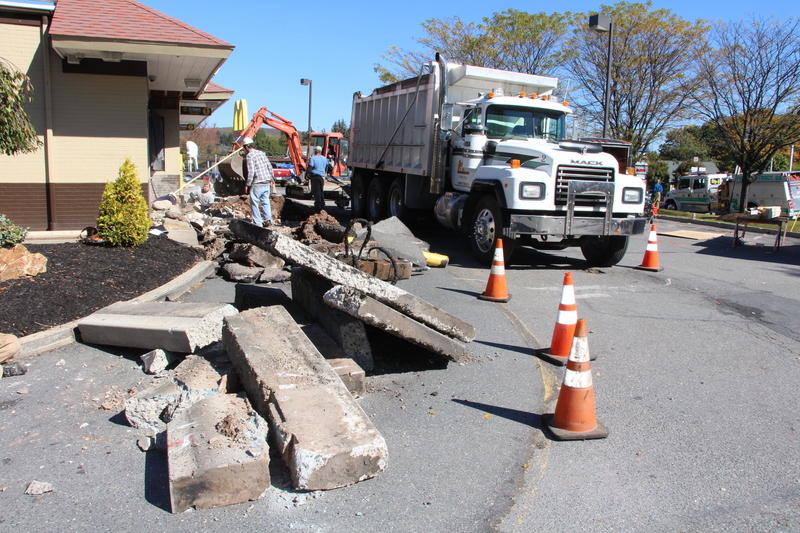 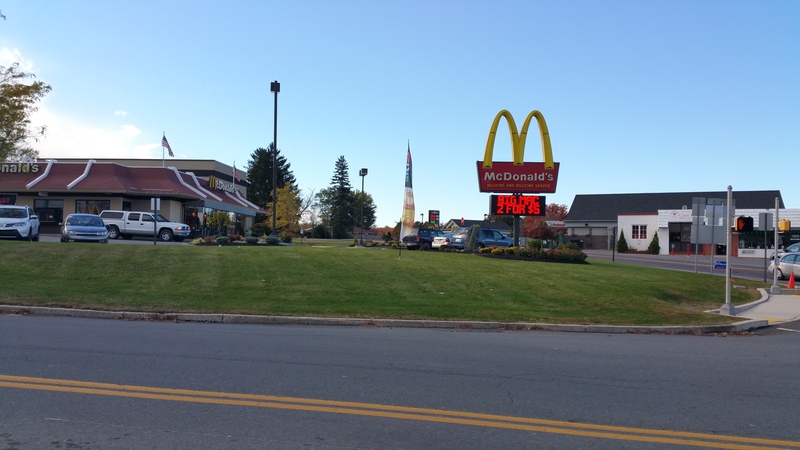 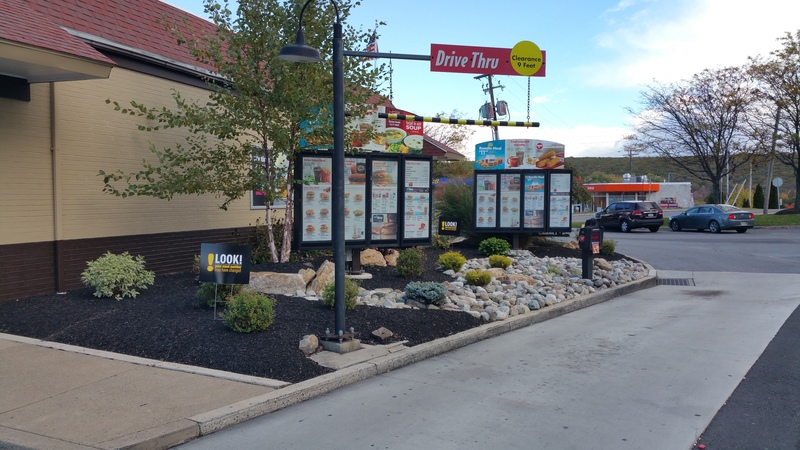 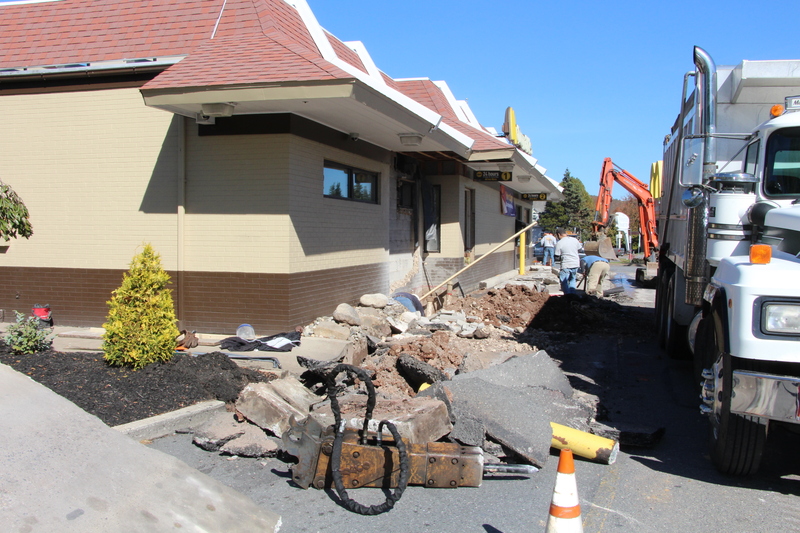 Pictured right now are workers with General Contracting Management Inc. constructing a double drive thru at the McDonald’s restaurant in Hometown. 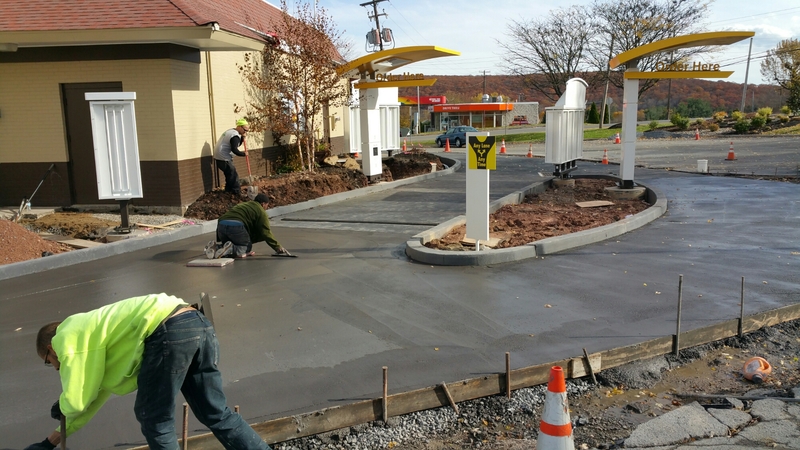 They are also improving handicap parking at the location. 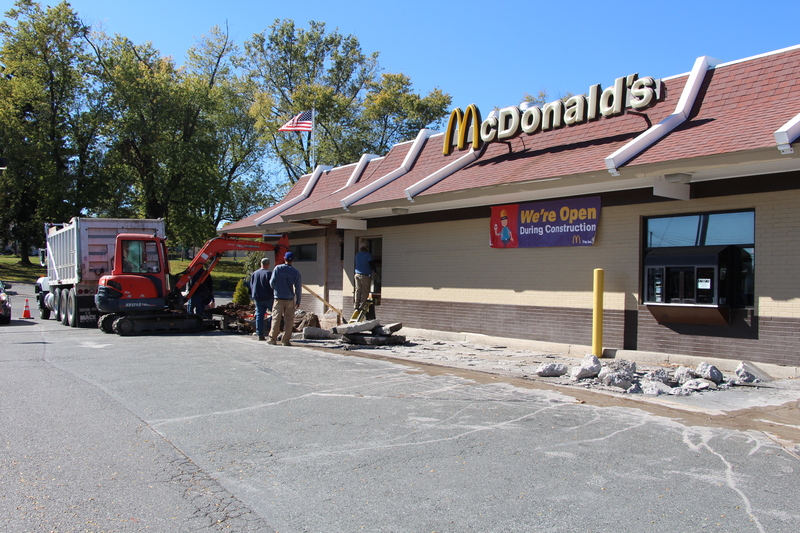 Work started last week and is expected to be complete in the next week or so. 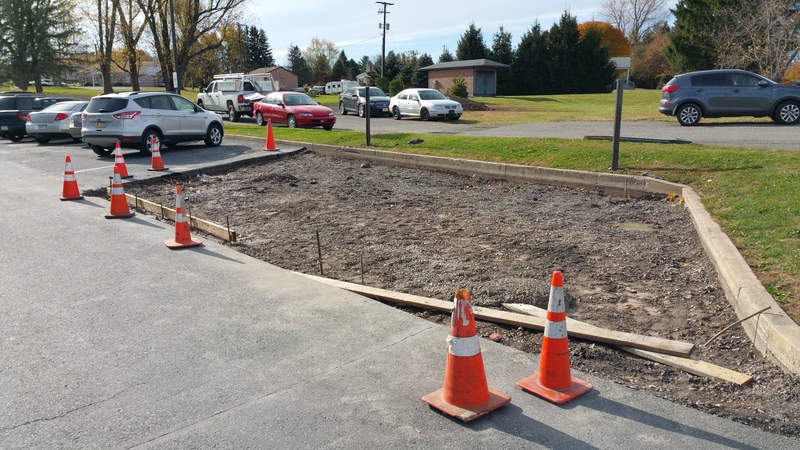 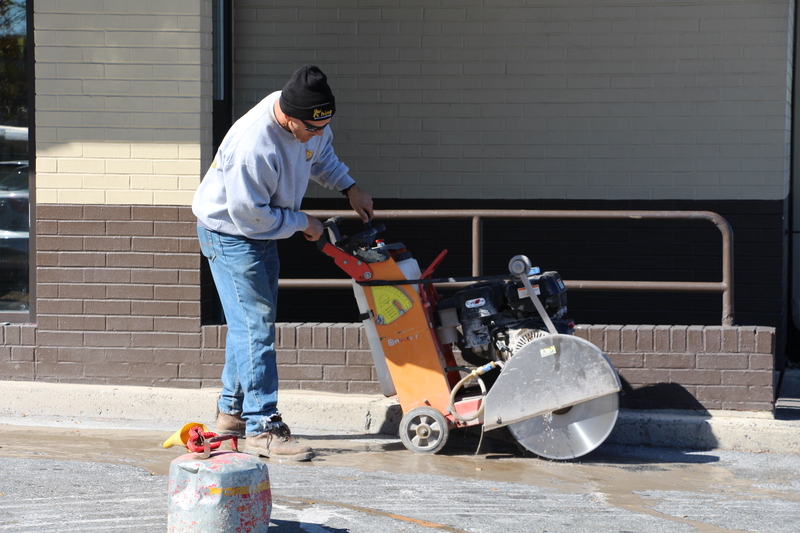 Contractors are also lessoning the slope of handicap parking spots.